All lines led to Barry as the 19th century drew to a close, with both the Cardiff, Penarth & Barry Junction and the Vale of Glamorgan forging connections to the new port facilities being built there by the Barry Dock & Railways company. This extensive network of lines grew slightly larger on 27th June 1899 when an extension - less than half-a-mile in length - was opened from Barry Island Station to Barry Pier Station. 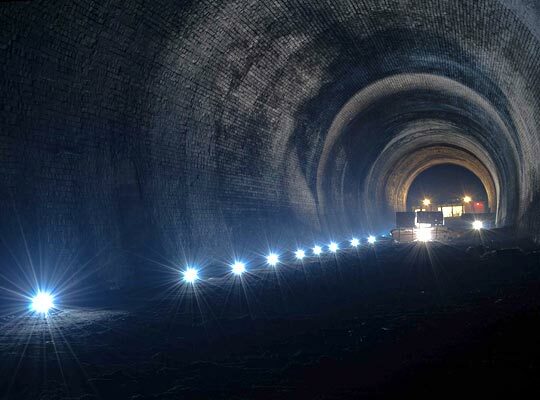 Authorised in 1896, much of it was accommodated in a straight tunnel, 280 yards long and falling to the east on a gradient of 1:80. P&A Campbell initially operated the ferries served by the new station, but an expectation of high commercial reward convinced the Barry Railway to establish its own service in 1905, acquiring four paddle steamers for the purpose. However the novelty soon wore off and these were sold in 1910. P&A Campbell’s ferries were reinstated thereafter. 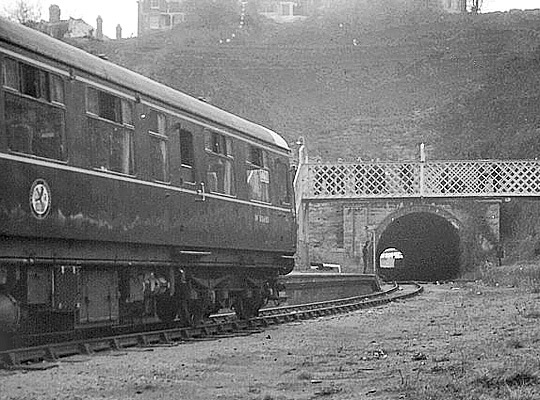 Originally double-tracked, the line was singled in September 1952 as part of a cost-cutting rationalisation of the signalling arrangements. Balmoral, the last steamer to use the terminal, arrived at the floating pontoon alongside the station in October 1971 and a railtour visited in 1973. 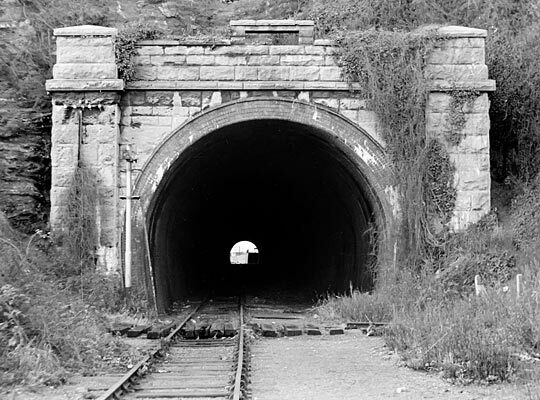 Official closure came on 5th May 1975. 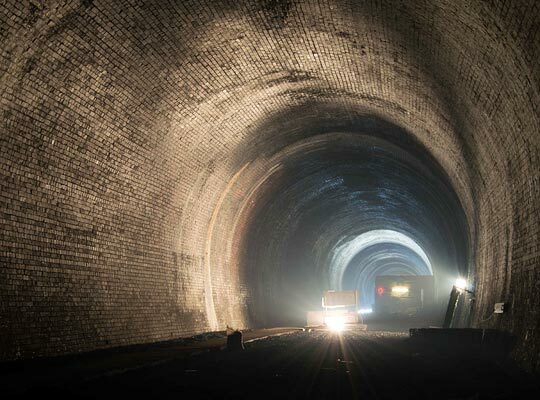 The tunnel was inspected by Colonel Yorke for the Board of Trade on 14th July 1899. Pleasing in design, both portals are built in limestone and feature buttresses either side of the entrance. Incorporated into the parapet at the west end is an 1897 datestone. Here, curved wingwalls appeared to embrace the sidings which ran up to them, terminating at concrete buffer blocks. 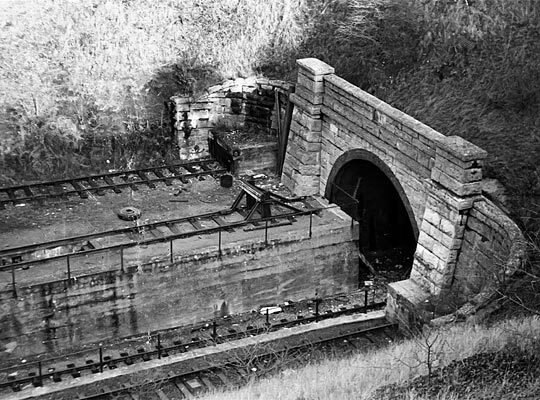 A second siding approached the tunnel on a raised concrete platform, effectively blocking the northern half of the entrance. Mapping evidence suggests this was possibly built in the 1920s. Blue engineering brick was used to form the lining, its profile being horseshoe. 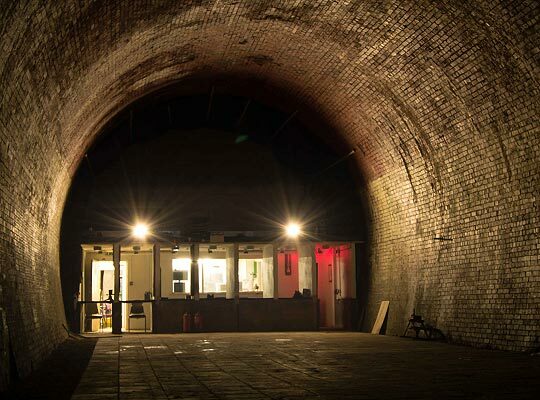 The arch face at the west end reveals four rings of brick; there are five or six at the east end. 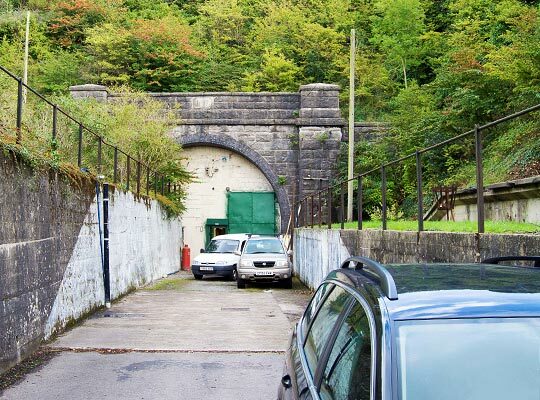 Refuges were provided in both sidewalls but these have been filled with breezeblocks as part of the tunnel’s conversion to host a rifle range. Access is via a door in the blockwall at the west end. Click on this icon for more of Ben's pictures.